Directional drilling is a wonderful new pipe installation technology, but smaller pipes can cut through existing, larger pipes like a hot knife through butter during drilling. Not only does this cause a flow obstruction, but when a gas or power line cuts into a pipe, its poses safety issues for cleaning and root-cutting equipment. 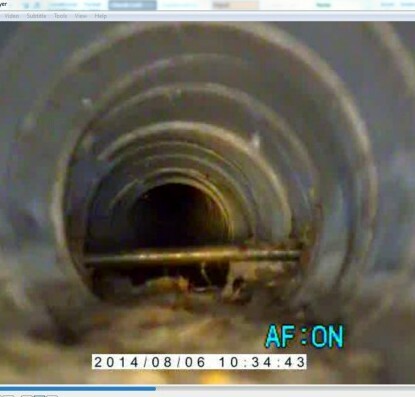 We recently photographed some examples of pipe obstructions caused by directional drilling. P&N uses its economical pipe-cam to pre-screen pipe sections for future cleaning and televising. Contact me if you’d like to preview our pipe-cam technology.